Built as fourth rate wooden hulled screw frigate by Chatham Dry-dock for the Royal Navy. October 1851 keel laid down. 05 October 1853 launched as the HMS EURYALUS one of the Forte class. Displacement 3,356 ton, 2.355 ton (bm), dim. 212.01 x 50.2 x 16.9ft, length of keel 180.8 ft.
Powered by 2 cyl. Steam engine, manufactured by John Penn & Sons, 400 nhp, single screw speed 9.5 knots. Armament when built: middle deck 30 – 8 inch, upper deck 20 – 32pdrs, and 1 – 68 pdr, on pivot. 26 December 1853 commissioned in Chatham under command of Captain George Ramsay. 05 March 1854 completed and ready for sea. Prince Alfred, the second son of Queen Victoria and Prince Albert, was appointed to HMS EURYALUS after passing his naval entrance exams. 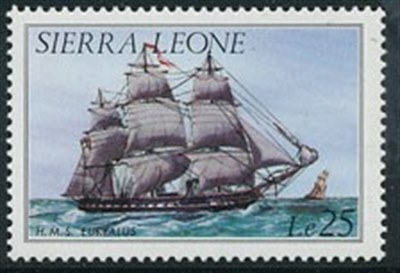 The EURYALUS was a 50-gun screw frigate which had been launched in 1853, and the Prince served on it for two years between 1858 and 1860 as a naval cadet and midshipman. 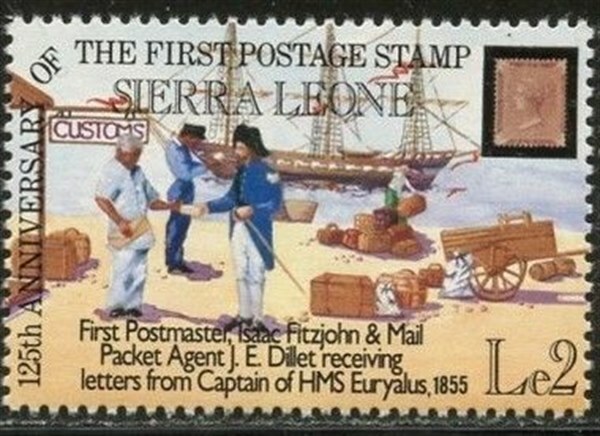 On 1 January 1860 Prince Alfred sailed in the EURYALUS from Malta for Syracuse, Palermo, Elba and Gibraltar, returning to Spithead in February, That summer he joined the ship on a voyage to Rio, the Cape of Good Hope, Natal and the West Indies. Brierly worked for three members of the Royal family through his long career as a marine painter, and after his death, his daughter recorded that the interest Queen Victoria had always taken in his work had been ‘one of the happiest memories that remained with him and cheered him to the very last’. HMS EURYALE’S was a fourth-rate wooden-hulled screw frigate of the Royal Navy, with a 400HP steam engine that could make over 12 knots. She was launched at Chatham in 1853, was 212 feet long, displaced 3125 tons and had a complement of 515 (this varied slightly as the Naval Standards varied). At the time of the Bombardment of Kagoshima she carried 35 guns, not counting approximately 16 carronades. Seventeen of her guns were breech-loading Armstrong Guns. She carried 230 tons of coal, and provisions for about three months, together with over 70 tons of shot and shell. Under the command of J. W. Tarleton, she served in the Mediterranean in 1858. The same year Prince Alfred was appointed to the ship as a midshipman. In 1860, the ship visited the Cape of Good Hope. EURYALUS arrived at Yokohama on 15 September 1862, the day following the Namamugi Incident, a samurai assault on British nationals on the outskirts of the treaty port that led to a major breakdown in Anglo-Japanese relations. In an effort to enforce reparations from the Satsuma Domain, EURYALUS served as Admiral Sir Augustus Kuper's flagship during the bombardment of Kagoshima on 16 August 1863. During the bombardment of Kagoshima the Captain of EURYALUS, John James Steven Josling, was killed, as was his second-in-command, Commander Edward Wilmot, both decapitated by the same cannonball. Eight other members of the crew also died in the action, their names all commemorated on a memorial in the former British Consulate building in Yokohama. EURYALUS also participated in the bombardment of Shimonoseki in September 1864. The captain and commander of the ship at Shimonoseki was Captain John Hobhouse Inglis Alexander, who was severely wounded in the ankle as he led the assault on the batteries onshore. It was at Shimonoseki that Duncan Gordon Boyes won his Victoria Cross at the remarkably young age of 17. EURYALUS was paid off at Portsmouth on 23 September 1865. Sold to Castle & Beech in March 1867. She was broken up in 1867 at Charlton. 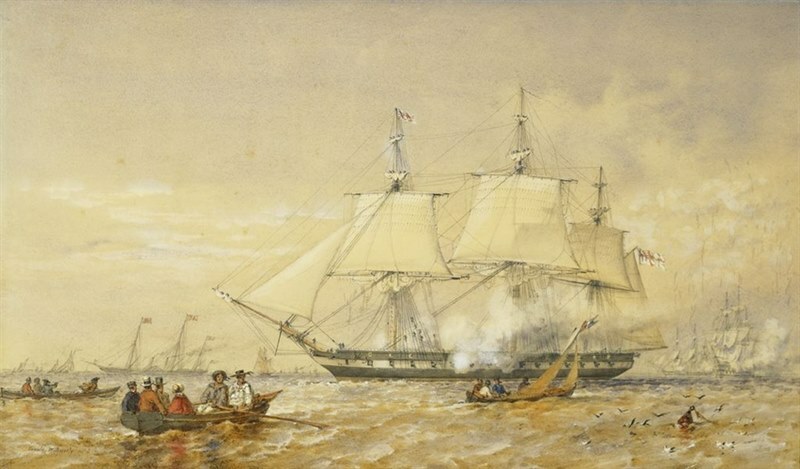 https://en.wikipedia.org/wiki/HMS_Euryalus_(1853) British Warships in the Age of Sail 1817 – 1863 by Rif Winfield. EURYALE’S: Designed by the Surveyor's Dept. for the screw. The EURYALUS (1853), LMPERIEUSE (1862), CHESAPEAKE (1855), and FORTE (1858) were on similar lines. 15 Apr 1854 detained the Russian brig PATRIOTEN. Circa 21 Jul 1857 the proceeds arising due to be paid. 16 Apr 1854 EURYALUS and 7 others detained the Russian merchant vessel VICTOR. Circa 21 Jul 1857 the proceeds arising due to be paid. 19 Jun 1854 EURYDICE and MIRANDA detained the VOLGA. 24 Feb 1856 Devonport. Steamed out of harbour yesterday and ready to sail for Spithead to join the advanced Baltic Squadron. 1 Mar 1857 arrived Havana from Vera Cruz. 4 Mar 1857 departed Havana for Bermuda. 24 Jan 1862 Portsmouth. Commissioned. 12 Aug 1862 arrived Hong Kong from Plymouth. 15 Nov 1862 Hong Kong. 1864 China station. Medical report: fever, hernia, poisoning, small-pox, VD overview, and VD onboard: number of Cases of Disease and Injury.